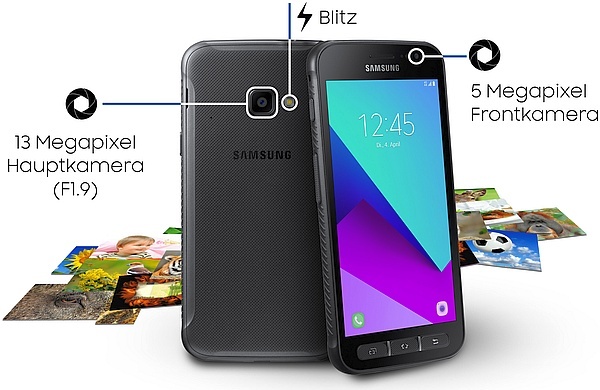 This long-awaited rugged handset is finally official. It comes with Nougat on board, using a low-end Exynos 7570 processor, next to 2 GB RAM and 16 GB internal storage. The Xcover 4 is compliant with the MIL-STD 810G and IP68 standards. 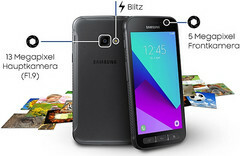 After quite a few rumors and leaks, the latest rugged Galaxy handset is finally official. Most of its specs and features confirm what we heard already, so the Galaxy Xcover 4 might not have any surprises to offer. The display of the Xcover 4 can be operated even when wearing gloves. This rugged handset is compliant with the MIL-STD 810G and the IP68 standards, thus being able to handle water and dust, as well as drops and scratches. The price of this handset in Europe will be around $273 USD. Shipments are scheduled to begin next month. For now, there is no information on the US launch, but it should take place soon since the Galaxy Xcover 4 already visited the Federal Communications Commission.